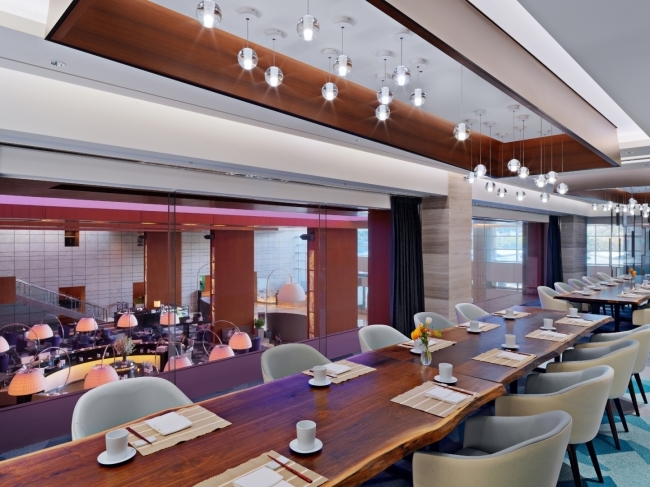 Diners who wants to devour on Asian food but don’t know specifically what they want can visit Asian Live, a fine dining restaurant located on the second floor of InterContinental Seoul Coex. To celebrate the first anniversary of its grand reopening, Asian Live features a special gourmet promotion through the end of April. It is to launch a special set-course menu of dishes from Korea, China, Japan, India and Arab countries. Diners will also be gifted with pickled green plums specially made and fermented by Asian Live’s Korean chef. The diverse seven-course meal is 140,000 won per person. For more information or reservations, call Asian Live at (02) 3430-8620. Those looking for a city picnic can chose Millennium Seoul Hilton as the spring destination. The hotel offers a spring picnic package, including one-night stay at the deluxe city-view room with a picnic lunch set, including sandwiches, salad, fruit, cake and beverages. 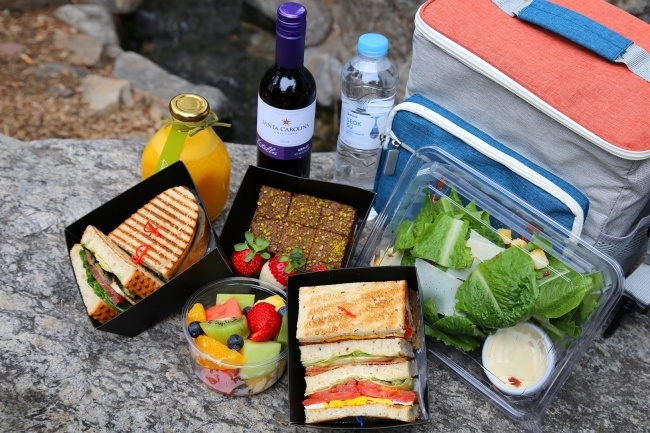 Guests can take the picnic set out to Namsan and under the shade of the cherry blossom trees. Guests are encouraged to take photos of themselves enjoying the spring package using a mobile phone, as the hotel offers a printing service for 10 photos. The package is available only to Korean nationals and foreigners with an alien registration card until the end of May, at a cost of 260,000 won based on double occupancy. For reservations, call (02) 317-3000. Sheraton Seoul D Cube City Hotel offers its unique takeaway catering service, “Hansik To Go.” The catering service includes 11 traditional Korean menu items, and is suited for 10 people. 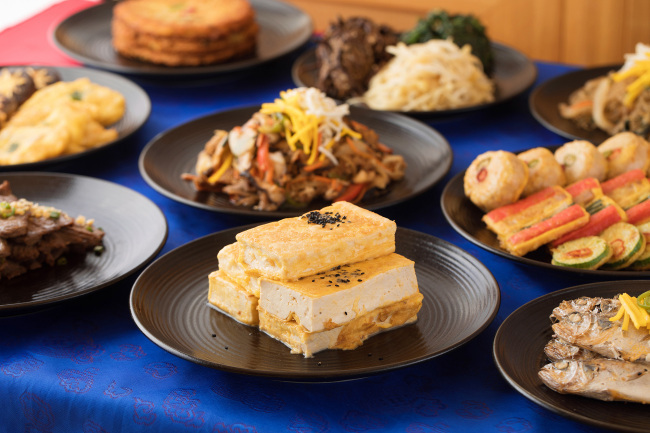 The hotel‘s buffet restaurant Feast prepares the service for “Hansik Day.” Guests planning for family gatherings on the day can take advantage of the service. Previously, the catering service was launched for the Lunar New Year holiday season. Proving popular with guests who seek a traditional and convenient meal, the hotel has relaunched the service. Catering requires a minimum three-day advance reservation, at a price of 160,000 won. With an additional charge, the dishes can be delivered within Seoul. For more information, contact Feast at (02) 2211-1710. As the author of the story, Kenji Miyazawa, comes from Iwate prefecture in Japan, the bar showcases the region’s delicacies, Malta tuna dishes including sushi and fried dish, along with a sake named after the novel. During happy hour, between 6 and 8 p.m. on weekdays, sake drinks are offered unlimited at a price of 69,000 won. 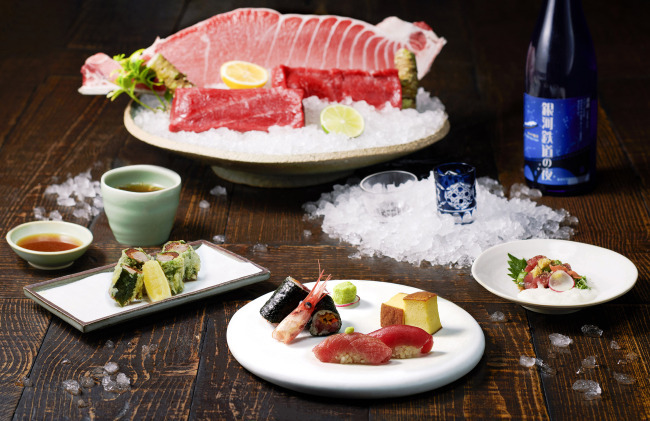 A sharing set, including the same bottle of sake and dishes, is prepared as well, at 160,000 won. For more information or reservations, call The Timber House at (02) 2016-1291. As the weather warms up, fine dust is covering the city of Seoul. For those suffering sore throats due to the bad air, Grand Hyatt Seoul has prepared medicinal teas. 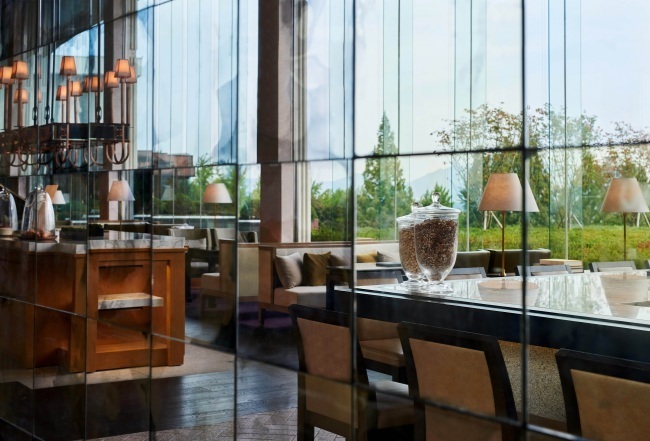 The hotel’s lobby cafe Gallery offers 10 types of traditional tea, including ginseng, ginger, citron and pomegranate tea. Visitors can enjoy a scenic view of the city while enjoying a cup of tea at the cafe. Prices range between 16,000 and 22,000 won. Call (02) 799-8165 for more information.